Featured Reports As tech changes the insurance industry, what should investors look for? Many insurance companies are moving toward a ‘vitality’-based business, where customers can log their fitness activity in an app or website and receive benefits. In the past few years, some big changes have been unveiled in one of the world’s most traditional industries. John Hancock, one of the oldest and largest North American life insurers, recently announced it will stop underwriting traditional life insurance. 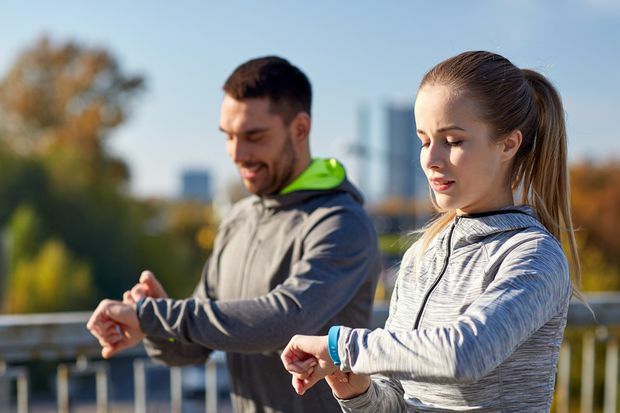 Instead, the 156-year-old insurer, owned by Canada’s Manulife Financial, will sell only interactive policies that track fitness and health data through wearable devices and smartphones. Prudential Financial said it will go straight to consumers with its insurance and investment products for the first time in its 143-year history, offering products through its website rather than selling exclusively through its large network of advisers and employer-sponsored programs. And Manulife recently announced it will contribute $400,000 to the Artificial Intelligence Institute at the University of Waterloo for research in disability claim prediction as well as fraud detection and language comprehension in customer service. These developments in the past month are only a few examples of the sea change in the insurance industry, showing how established companies are turning to technology to find new ways to expand business in light of online startups and rivals that are challenging the established order. “Millennials and other younger people have large purchasing power,” John Barnidge, a Sandler O’Neill analyst, told Reuters, adding that they do not value insurance agent relationships as much as previous generations. So, what does this shift toward a growing demand for online sales mean for the bottom lines of insurance companies – and what are the best ways for investors to play the trend? “I’ve frequently described the insurance industry as being behind the technology curve, but we’re seeing significant advances,” says Meyer Shields, managing director at investment firm Keefe, Bruyette and Woods in Baltimore. As one example, he points to the use of increasingly sophisticated data analysis to vary price rates in personal auto insurance. Other examples include artificial intelligence applications to augment underwriting decisions, and the use of drones to evaluate insured property damage. As far as specific companies leading the way in using these techniques, Mr. Shields singles out auto insurer Progressive (PGR-NYSE) as a leader in data analysis, with cutting-edge capabilities in data-driven insurance pricing. He says commercial insurers Travelers (TRV-NYSE) and The Hartford (HIG-N) are both very strong at utilizing technologies to improve outcomes in lines of business such as worker compensation. He also points to global insurer Chubb (CB-NYSE) for its advanced use of artificial intelligence and technology-based distribution. Mr. Shields says his firm’s overall investment thesis for the insurance sector is that commercial casualty rates are likely to rise, while personal and commercial auto rate increases will decelerate, and property insurance rate increases will probably reverse course. As a result, he favours the commercial insurers that should see underwriting margin expansion in coming quarters – AIG (AIG-N) and The Hartford are the firm’s top picks in that space. Keefe Bruyette also likes insurance brokers such as Arthur J. Gallagher (AJG-NYSE) and AON PLC (PLC-NYSE) as they expect rising rates combined with economic growth driving faster revenue growth, margin expansion and improving cash flows. Canadian insurers are also taking a lead in this technology revolution. Manulife’s (MFC-TSX) move in this direction has caught the attention of Meny Grauman, head of institutional equity research at Cormark Securities in Toronto. He’s impressed with their push toward a ‘vitality’-based business. As well, both Manulife and Sun Life (SU-TSX) rely on their Asian units for a significant part of their growth. Mr. Grauman considers that region as being more advanced in its use of technology in the insurance industry. He notes that in China it is possible now to buy life insurance and process claims over the popular WeChat messaging app. “That kind of thing doesn’t exist yet in North America,” he says. While he appreciates the technological edge of Manulife and Sun Life, Mr. Grauman’s top pick in the sector is Industrial Alliance (IAG-TSX). He likes the Quebec-based insurer’s strong track record of performance, and the development of its wealth advisor and distribution networks. He feels the company is set to rebound from concerns over a chief executive officer transition and a couple of “not so strong” quarters. “It’s underappreciated,” he says. The tech revolution in insurance has also caught the eye of Gordon Reid, president and CEO of Goodreid Investment Counsel in Toronto. Here in Canada, he notes Manulife’s plan to spend $1.5-billion on technology, with 30 per cent directed toward "changing the client experience.” He is impressed as well with Sun Life’s use of “nudges’ – that is, the process of using technology to encourage plan members to enrol in money-saving options. He also notes Great-West Life’s (GWO-TSX) use of its MPower division to allow other operators to outsource record keeping and administration. In the United States, Mr. Reid points to the innovative work in the Optum division of United Health (UNH-NYSE). Optum bills itself as a “health-care intelligence” firm, using data, analytics and expertise to deliver services in the most effective ways possible. His top pick in the sector is Indianapolis-based insurer Anthem Inc. (ANTM-NYSE). His firm initially recommended the company’s shares for its client portfolios on a valuation basis, due to its low stock-price-to earnings ratio. “Today the theme is scale, and the resulting action has been industry consolidation,” he says. He notes Anthem’s purchase of the hospice operator Aspire, Cigna’s purchase of Express Scripts and drugstore chain CVS buying insurer Aetna. “All of this is intended to vertically integrate, allowing more touchpoints with the patient,” he says. And while that can come in many forms, including face-to-face contact, new technologies are increasingly playing a key role.